Photovoltaics is one of the most promising arenas among renewable energy technologies. Ensuring there are no concerns related to environmental hazards and energy shortage, photovoltaics (PV) is an ideal way of directly converting sunlight into electricity. In building integrated photovoltaics, the photovoltaic elements have become an integral part of the building. A number of photovoltaics designers and experts in the U.S., Japan, and Europe are exploring newer ways of incorporating solar energy in buildings. In a building integrated photovoltaics systems, a photovoltaic system is built by assembling several individual collectors, known as ‘modules’, mechanically and electrically into an array. A building integrated photovoltaics system integrates these modules onto the surface of the building, such as the façade or the roof. Apart from adding architectural appeal to the building, the building integrated photovoltaics system saves considerable amount of material and electricity, simultaneously bringing down the use of fossil fuels and the consequent harmful emissions. Building integrated photvoltaics could be used in off-grid, stand-alone systems as well as with utility grids. Grid-tied systems offer benefits such as a free storage system, maximum efficiency, and unlimited capacity. The two primary photovoltaic technologies available are thin-film products and thick crystal products. Photovoltaics can be incorporated into various assemblies in a building envelope. Incorporation into the façade of a building, replacing or complementing traditional view is one way of installation. Usually, the installations are vertically positioned, with lesser access to solar energy. However, the wide surface areas of buildings enable to counterbalance the low generation of power. The deployment of photovoltaics in roofing systems eliminates the need for conventional 3-tab asphalt shingles and batten and seam metal roofing. Integration of photovoltaics with skylight systems can result into an exciting design, besides being economical. The demand for building integrated photovoltaics (BIPV) is rising in response to the increasing focus on renewable energy. In the next few years the construction of green building is expected to gain pace, thus creating immense scope for increased installation of BIPVs. Spurred by these factors, the global BIPV market is expected to report strong growth over the course of the forecast period. The report presents a comprehensive market overview covering revenue growth exhibited by the market across various regional segments. For the purpose of the study, it also gauges the impact of Porter’s five forces on the market operations. 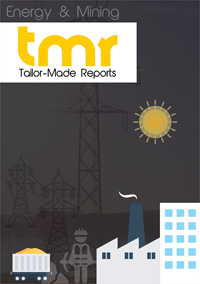 Government support and promotion strategies adopted by them to encourage energy conservation are the chief drivers of the global building integrated photovoltaics market. Installing BIPVs ensure higher energy efficiency, which is the key factor fuelling its uptake across commercial, industrial, and residential sectors. In order to promote the deployment of building integrated photovoltaics, governments of emerging nations are offering various monetary and economic benefit, which are expected to translate into growth opportunities for the market. The market is thus expected to gain from the increased efforts by government agencies to encourage the use of solar energy solutions among an increasing number of consumers. On the downside, installing BIPVs require high initial investment. The technology to be used also depends upon the different building codes and measurements. Lack of knowledge and expertise to estimate the same is a major restraint for the market. Nevertheless, with technological advancements on cards and the diverse uses of BIPV modules, the market is expected to witness immense opportunities over the forecast period. The global BIPV market can be segmented based on technology, application, procedure, and geography. By technology, the market can be segmented into thin film PV and crystalline silicon PV. The thin film technology segment can be further classified into copper indium dieseline (CIS), amorphous silicon, and cadmium telluride (CDTE). In terms of procedure, roofing, glazing, cladding, glass, shading, facades, and wall integrated markets constitute the key segments. By application, the key segments of the market are commercial buildings, industrial buildings, and residential buildings. Regionally, North America, APAC, Europe, and Rest of the World constitute the key market segments. By installation, the market is expected to witness lucrative opportunities in Europe. Besides this, it is also expected to have attractive prospects in Asia and North America. Besides this, the Middle East will exhibit immense scope for the market’s growth over the course of the forecast period. Furthermore, the commercial building segment has been exhibiting the maximum installation of building integrated photovoltaics. However, adoption in the industrial sector is expected pace at a higher rate. The proliferation of awareness campaigns showcasing the benefits installing PVs is expected to boost the BIPV installation in the industrial sector. Some of the leading players operating in the global building integrated photovoltaics market are CentroSolar AG., Ascent Solar Technologies Inc., Schott Solar Ag., PowerFilm Inc., DOW Solar, Suntech Power Holdings Co. Ltd., First Solar, Dyesol Ltd., United Solar Ovonic, Kyocera Corp., and Wurth Solar GMBH.